Our team loves to see the ShowMe Community growing, and that is why we created a feature to invite friends to check out the ShowMe app! 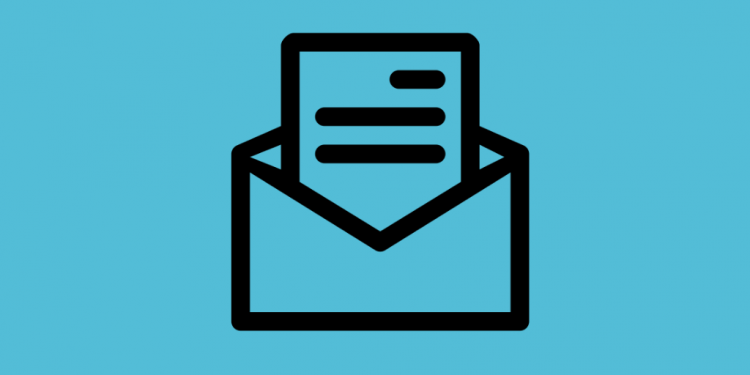 If you want to send a recommendation to use the app, make sure that an email address is attached to the contacts list on your device. Open the ShowMe app, and log in. Tap on your name placed in the top-left corner. Choose contact you want to invite to ShowMe. Tap on the ‘Send invite’ button. 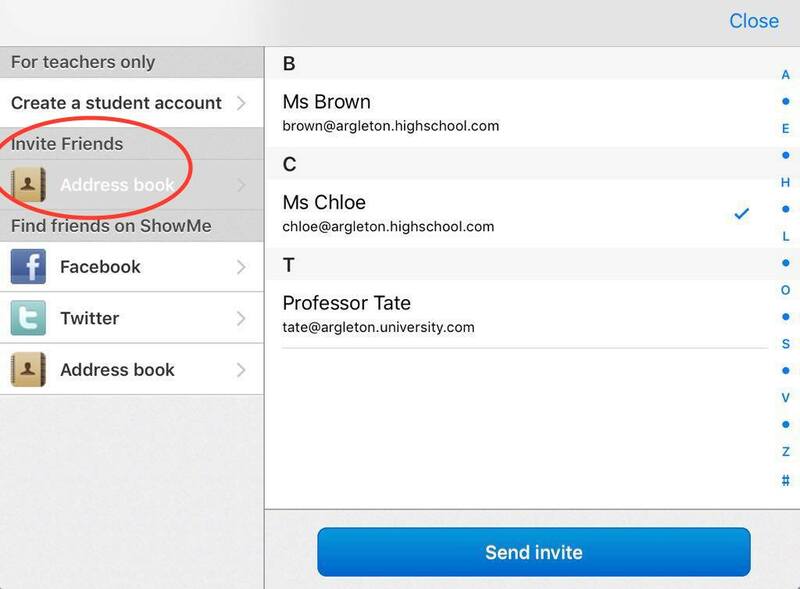 The contact will receive an email with a recommendation to check out the ShowMe app. Tip: If you want to send your friends a 30% discount for ShowMe Premium, learn more about our ShowMe Ambassador Program, where you can get awesome gifts for referring ShowMe Premium. Let us know if you need any help in inviting your friends to the ShowMe Community! You can always contact us through social media channels or send a message to our support team (support@showme.com). How to edit a ShowMe account? How-To: Download, Delete or Edit your uploaded ShowMes. 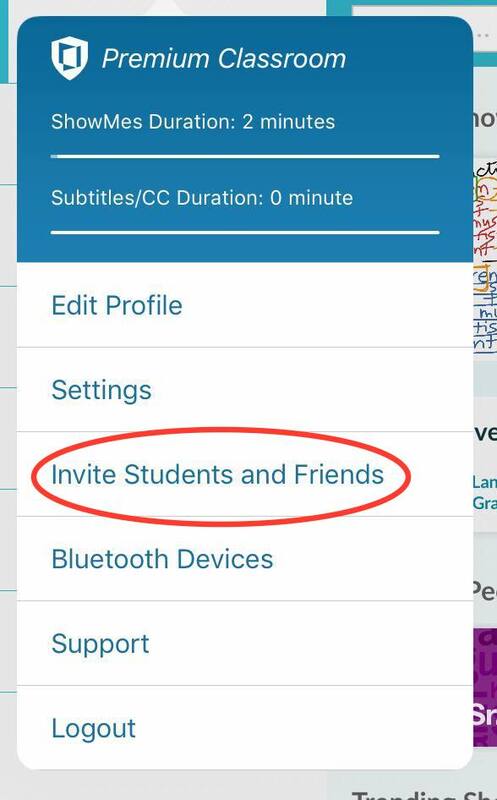 How to pair ShowMe with Apple Pencil?